LONDON, Aug. 27 (Xinhua/Sun) -- Men who eat over 10 portions a week of tomatoes have an 18 per cent lower risk of developing prostate cancer, a new research by British scientists suggests. To assess if proper dietary reduces risk of prostate cancer, researchers at the Universities of Bristol, Cambridge and Oxford looked at the diets and lifestyle of 1,806 men aged between 50 and 69 with prostate cancer and compared with 12,005 cancer-free men. The researchers find that, tomatoes were shown to be most beneficial, with an 18 per cent reduction in risk found in men eating over 10 portions a week. 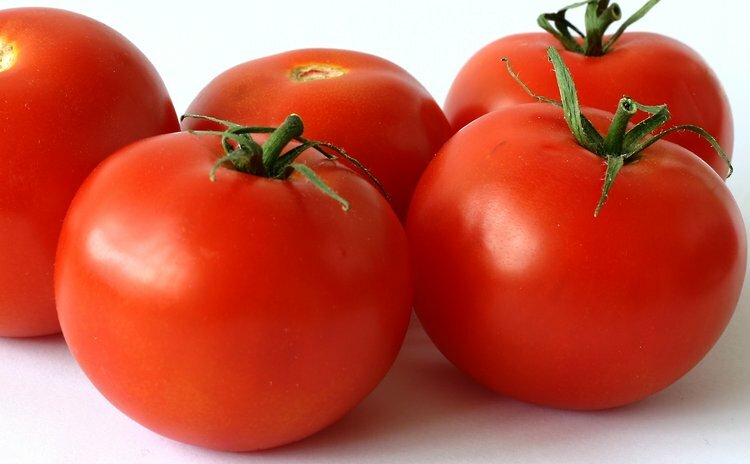 This is thought to be due to lycopene, an antioxidant which fights off toxins that can cause DNA and cell damage. Eating the recommended five servings of fruit or vegetables or more a day was also found to decrease risk by 24 percent, compared with men who ate two-and-a-half servings or less. "Our findings suggest that tomatoes may be important in prostate cancer prevention," said Vanessa Er, from Bristol University. "However, further studies need to be conducted to confirm our findings, especially through human trials. Men should still eat a wide variety of fruits and vegetables, maintain a healthy weight and stay active."